Still I am in office, still I am not gonna get much time with this new girlfriend, but its hard to hold the temptation to show off the world about it. :p Wanna write some fast facts. It was very surprising to get it delivered from womworld, London to New Delhi in less than 72 hours , I guess. Then I was surprised that how DHL guy delivered it to my Office Security without acknowledging me or without my signature. I just got informed after 45 mins I guess that too, when I checked the DHL Tracking Status. In a dimmed hope, I went to Security and it was waiting there for me. Anyway …. Look like now days, Nokia has started making devices, which are a little harder to open. Took a lot of care and fear to just open it for putting battery in it. I still love those old device, which were taking half a minute to me for changing the SIM or battery. I was stupidly thinking that why display is so dark. It was a cover on the screen to protect it. Have not yet enabled touch screen keyboard. Physical Keyboard itself is fantastic and will never leave you thinking any absence of Touch Keyboard, but even if needed, touch screen keyboard could be enabled from settings and also other apps are available to customize the keyboard layout as well. Moreover, still not checked that the Auto Rotate feature is with it or not. There is no auto-rotate as of now except the calling screen. Yup, its a little bit heavy, 181 g, where iPhone is 135 g.
Third disappointment new fact to me was USB Charger, although later I checked that there is a converter to connect it from both of the Nokia chargers; old thick one and now days Universal charger. 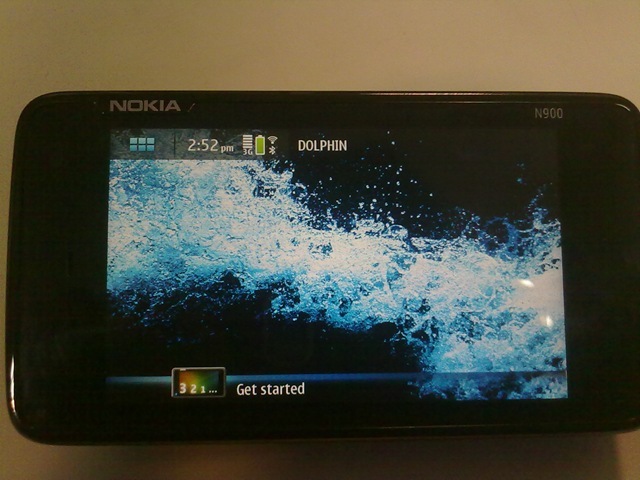 I checked for the Camera performance and found it pretty good just like my Nokia N82. Good news. Browser was perfect and what made me smile was the presence of Google Buzz in Gmail. Don’t know why its missing from my Nokia 5800, even when I might be opening in Full View mode (not mobile mode). I was excited when got to see that its loading farmvilla, but for my disappointment, its hanging the browser and asking me if I wanna close. Not sure what’s wrong, it should work. I checked shockwave plugin is ON. Will check it out in evening. It works like a charm, but as the nature of game is, as much bigger screen you get, as convenient the game will be. The biggest heart attack to me.. Google Apps not supported over Maemo platform as of now. What?????? No Google Maps, No Gmail Client? I am gonna cry as I am huge fan of Satelite view that Google Maps offer. How this can be? Google … DO SOMETHING. Its a Linux based OS, could provide you root access and there is a console with it for usual linux tasks. Amazing. This really gonna change something. It was now high required to come out from the shell of Symbian. Rest I will update later on… only this much could have written after looking over it for 30-40 mins. 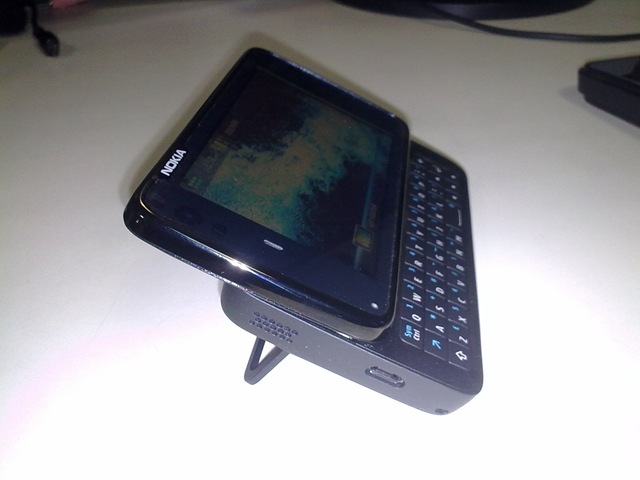 great experience, you are having with NOKIA device.. Thanks Abhimanyu, for taking a read. Its a great experience in deed and will be harder for me to return the device back for review of some other blogger.